In the world of cosmetic dentistry, a practitioners biggest competition is not the practicing dentist down the street, it's the latest smartphone that just got released, the new hottest electric sports car, that limited edition watch. Dentistry, especially cosmetic dentistry tends to take the back-burner as high quality cosmetic dentistry is still very expensive and more often than not, those costs are the biggest barriers for most patients. In my experience with a certain demographic more than others, cost is a larger barrier to purchase than for others. For the millennial population, as the cost of living is rising along with the cost of education, having a budget for elective procedures are tough. Due to the geographic location of my practice, most of our patient demographic is the millennial generation. In dentistry, there is a movement that is following general medicine; it's the principle of minimal invasiveness. As patients (and potential patients) have access to so much information at their fingertips, they are looking and learning more about minimal invasive dentistry, which becomes even more appealing when their dental needs are more for elective reasons. 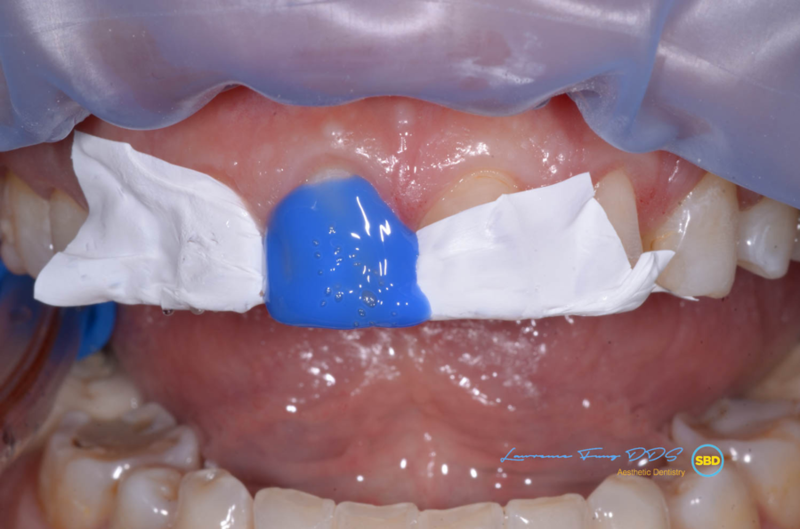 The procedure termed “bonded functional esthetic prototype” was brought to the surface by Ed McClaren in 2013-- discussing a procedure that allows patients to have an additive procedure that has lower initial costs while providing a predictable medium-term esthetic solution. The technique is very simple as is made up of the following steps. 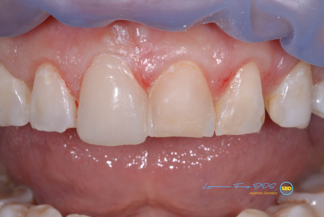 Records taking- Once doctor and patient agrees to the proposed changes, an impression of both arches is made and a diagnostic waxup is sent to the ceramist of choice. 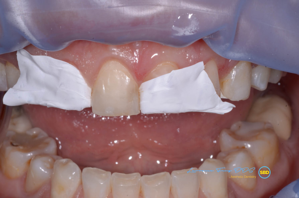 Bonding Appointment- dependent on the changes proposed, it can be done under rubber dam isolation or in this case, Optragate and cotton roll isolation was used for bonding. 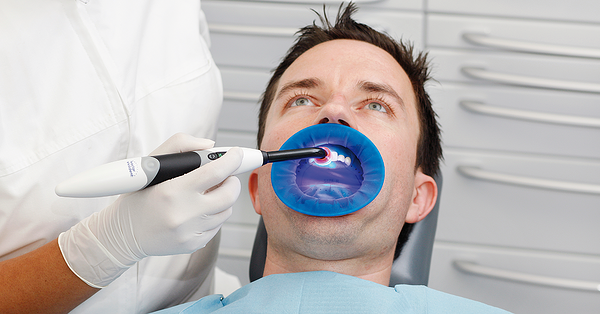 Try-in with the clear silicon putty matrix stent. 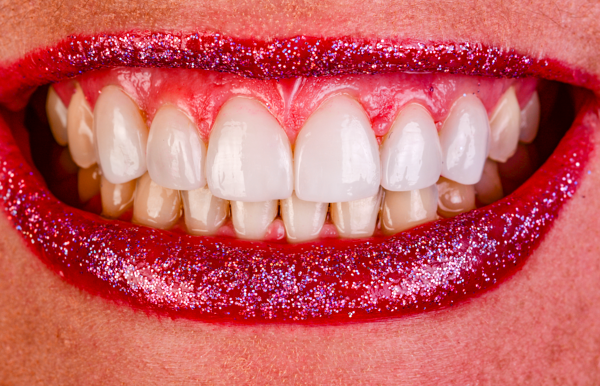 Make sure all of the teeth are able to be seated all the way to minimal hyper occlusion, excess flash (Figure 1). Isolation, Optragate, Teflon tape to isolate the adjacent teeth (Figure 2). 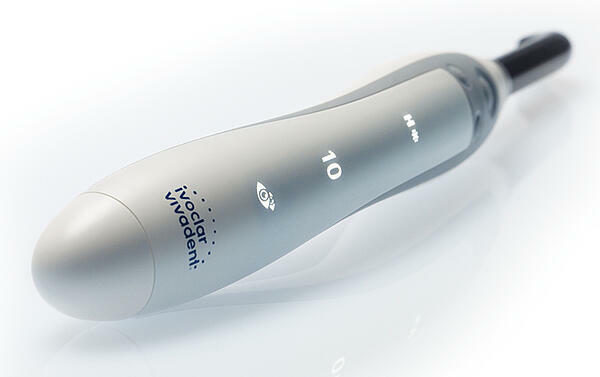 Etch the teeth with 37% phosphoric etch (Total Etch- Ivoclar Vivadent), since these restorations are in 100% enamel , etch for 30 seconds (Figure 3). 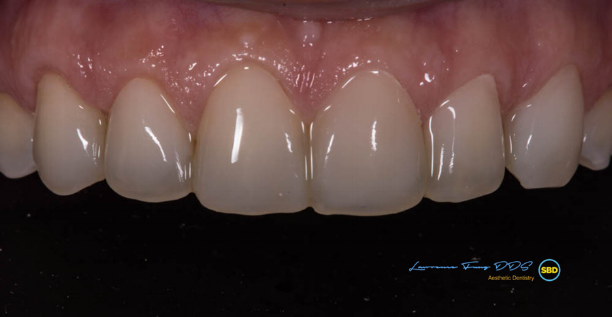 Apply a thin layer of (heated) translucent composite (Trans 30 IPS Empress® Direct – Ivoclar Vivadent) on the incisal portion of the matrix and (heated) enamel shade (IPS Empress Direct Enamel) composite on top of that, then place matrix onto the prepared tooth. I use a composite warmer as it allows the material to flow into the matrix and the tooth in almost a flowable like fashion to avoid voids. Cure for 40 seconds through the clear matrix. Polish each restoration, finish separately to ensure contact points are as ideal as possible while you have most access. I use Sof-Lex Polishing discs (medium, fine, superfine) with polishing paste (Enamelize- Cosmedent) followed by aluminum oxide finishers (Enhance- Dentsply). Last part is buffing which is done with silicon carbide polishers (Occlubrush- Kerr). 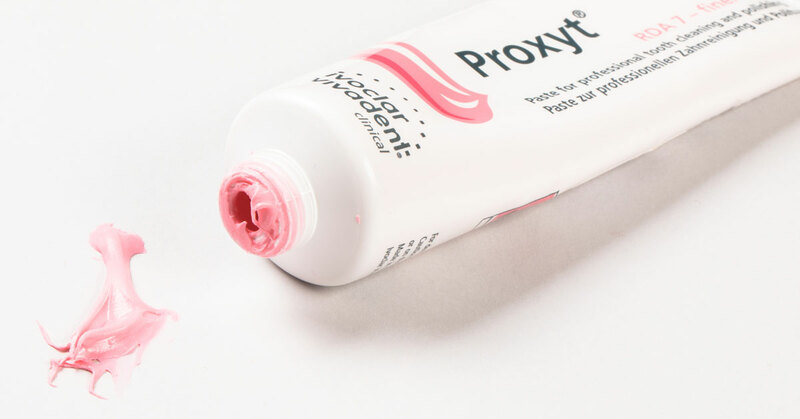 Interproximal contacts are polished with aluminum oxide strips (FlexiStrips- Cosmedent) (Figure 6). 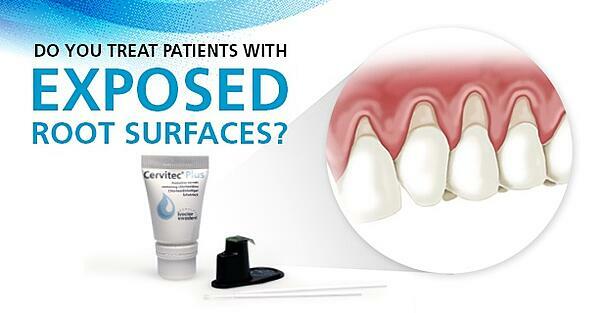 So why did I choose to use IPS Empress Direct composite from Ivoclar Vivadent for these type of cases? I love the esthetics of the material. The composite does an amazing job with its chameleon effect. 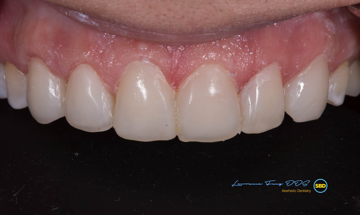 Without having to use too many different shades, the composite is able to draw from the underlying and adjacent tooth to provide high esthetics. The material also is highly polish-able and as evidenced by the finished photo, when the composite is wet, its shine can be comparable to porcelain. I really like the large array of shades that Empress direct provides as it makes layering simple. The nice part about IPS Empress direct is there is not an over abundance of shades to select as it can be too confusing if there is too many choices. To be able to do high quality and esthetic dentistry, the procedures need to be simplified. The more complex the procedure needs to be, the more chair time is needed thus translating into more cost to my patients. 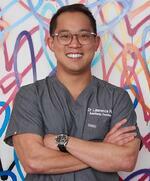 Dr. Lawrence Fung is the owner of Silicon Beach Dental, a practice located near Playa Vista, or commonly known as Silicon Beach. Born and raised in Southern California, he graduated from the University of Southern California with a B.S. in Dental Hygiene and went on to complete his Doctorate of Dental Surgery at University of Southern California. Lawrence then went to serve our country after dental school, serving four years with the United States Navy including two years overseas in Japan.